Musings over telecom giants like AT&T, Verizon, and Comcast. In today’s fast-paced Information Age, content and information reign. Virtually, people want or need to know exactly what is going on at virtually all times. At one time in the not-too-distant past, that was only possible through research, knowing specific people, and/or being close to a television or radio so you could hear about breaking news and information as it happened. However, as the 1990s and 2000s came and went, a new technology that revolutionized the world was born: The Internet. The Internet has enabled people from across the globe to have access to more information and resources than any previous generation and during any time period in human history. The Internet has revolutionized the way people have remained in contact with each other, learned about each other, conducted business and commerce, and even for applying for employment positions, among other activities. This has become even more prevalent with the recent advent of mobile devices capable of picking up Internet signals and transferring information. With the advent of the Internet and how it has impacted life on Earth, it is vital that you have a strong, reliable Internet connection that enables you to enjoy and utilize the benefits that the Internet has to offer. Below, we will examine eight different Internet service providers so you can get the most value from your Internet connection. One notable Internet service is AT&T Internet. 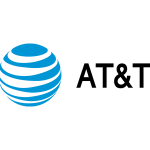 Provided by AT&T, a well-established telecommunications company, AT&T Internet provides you with several Internet plans to fulfill your various needs and requirements. The faster the Internet speed, the more able you will be to do multiple activities on the Internet without difficulty. They offer a 50 Mbps Internet service plan with a 1 TB data limit per month for $40 per month plus additional taxes. This plan is their lowest-priced plan, and it allows you to stream on multiple devices. If you need additional data per month, you can pay for an extra 50 GB data for $10 extra, up to an additional 500 GB (0.5 TB) of data at $100 extra per month. They provide you with a Wi-Fi Gateway Router to enable you to connect your devices, plus a Smart Home Manager that enables you to easily customize and manage the Wi-Fi in your home. You can get this package for just $30 per month if you are willing to bundle another qualifying AT&T service, such as telephone or U-verse satellite television service, with your Internet service. Other Internet service plans that AT&T Internet provides include a 75 Mbps service plan that enables you to easily binge watch your favorite TV series and movies and a 100 Mbps service plan that enables you to have many Internet users in your home, and especially those who are serious gamers. All AT&T Internet plans have 99% signal reliability so that you have consistent Internet service throughout your home so that you can access the Internet from virtually anywhere in your home and from any device. AT&T Internet Speed gets updated over the time. Another notable Internet service provider is Comcast XFINITY. Provided by the largest home service Internet provider in the United States, XFINITY xFi home WiFi gives you the coverage, speed, and control that you need to take advantage of all that the Internet has to offer. They provide Internet speeds ranging from as low as 10 Mbps to as high as 350 Mbps. Their Internet plans don’t require any term agreement. Their plan of up to 10 Mbps costs $49.95 per month with no term agreement required. Their plan of up to 25 Mbps costs $39.95 per month for the first year, $74.95 per month afterwards. These plans are very good for between 1-5 devices surfing at the same time, light streaming, and downloading music. Their higher-speed plans are good for more intensive streaming and other activities. Their 25 to 55 Mbps plans are good for average streaming, as well as for downloading music, photos, and shows. Their 70 to 100 Mbps plans enable you to easily stream on multiple devices, download your favorite shows quickly so you can watch them immediately, and download large files quickly so you can get to work promptly. This plan is especially good if you plan to have six to eight devices utilizing the Internet at the same time. If you plan to use more than eight devices to access the Internet at the same time, XFINITY’s 150 to 200 Mbps service plans are good choices, particularly since they will allow you to download virtually any show in seconds, stream shows on multiple devices at the same time in HD quality, and enable multiple players to play online at the same time. If you plan to have more than 12 devices connecting to the Internet at the same time, XFINITY’s 250 to 350 Mbps plans are a great choice, as they allow many players to play online at the same time, allow for ease of heavy Internet usage activities, and provide the fastest speeds possible. Another quality Internet service provider to consider is Verizon. According to PC Mag’s Readers’ Choice Survey, Verizon Fios has been rated number one in speed satisfaction for 12 consecutive years. Verizon Fios provides you with five main Internet-only service plans to consider. The first is their 50/50 (upload speed/download speed) Mbps plan that costs $39.99 per month for 1 year, along with taxes, equipment charges (including a $10 per month router fee), and other fees. You can upload 200 photos in just 40 seconds on this plan. Verizon Fios provides a 100/100 Mbps plan for $64.99 per month for the first year, along with taxes, equipment charges (including a $10 per month router fee), and other fees. You can upload 200 photos in just 20 seconds on this plan. Verizon Fios also provides a 150/150 Mbps for $74.99 per month for one year, plus taxes, equipment charges (including a $10 per month router fee), and other fees. You can upload 200 photos in just 13.3 seconds on this plan. Their fourth plan is the 300/300 Mbps plan that is $94.99 per month for the first year, plus taxes, equipment charges (including a $10 per month router fee), and other fees. You can upload 200 photos in just 6.7 seconds on this plan. Their fifth and fastest-speed plan is their 500/500 Mbps plan that costs $194.99 per month for the first year, plus taxes, equipment charges (including a $10 per month router fee), and other fees. You can upload 200 photos in just 4 seconds on this plan. Next notable Internet service provider to consider is Charter Spectrum. Spectrum Internet can provide you with Internet speeds beginning at 100 Mbps and starting at $29.99 per month if you bundle your Internet service with other Spectrum services, such as phone and/or cable television service. Such speed will enable you to connect all of the devices in your home without sacrificing performance. All plans provide a high-performance router free of charge so that your Internet connection is able to provide excellent range and speed throughout your home. You also receive 24 hours per day, 7 days per week of dedicated technical support so that you are always able to have any connection problems or account issues handled in a prompt manner. Charter Spectrum allows you to have access to thousands of WiFi hotspots across your local area and even across the United States. Access to these hotspots are free as part of any plan you choose, enabling you to stay connected while you are out and about on any device, including laptops, tablets, and mobile phones. 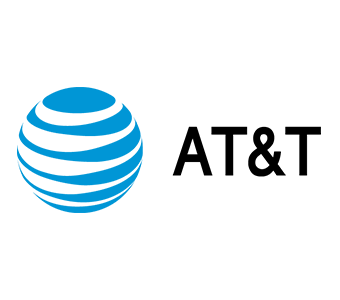 Charter Spectrum also provides you with their Security Suite to help you to browse more safely online. This suite will automatically detect viruses and spam, as well as help to keep identity thieves and hackers out of your email inbox. You have full control of your Internet thanks to parental controls, which enable you to lock out access to undesired websites by time of day, by category, and by age level. You can install this Security Suite on up to ten computers as part of your Internet plan. Charter Spectrum Internet does not put data caps on your usage, nor lower your Internet connection speed, and you are not required to sign a contract for a specific period. Another notable Internet service provider to consider is Cox. Cox Internet has four main plans for you to consider. The first is the Cox Internet Starter plan that provides up to 5 Mbps download speeds, ideal for fewer than three devices browsing the Internet at the same time, at a sale price of $29.99 per month for the first year. You also get 1 Mbps upload speeds, 10 email accounts with up to 2 GB of storage, and Cox Security Suite powered by McAfee®. Their second plan is the Cox Internet Essential plan of up to 15 Mbps download speeds and up to 2 Mbps upload speeds for a sale price of $39.99 per month for the first year. The same email accounts and Security Suite is provided for this plan as well. This plan is ideal for 3 to 5 devices accessing the Internet at the same time and doing light activities such as receiving emails or surfing websites on the Internet. The email accounts and Security Suite are also provided in the Cox Internet Preferred 100 plan, along with up to 100 Mbps download speeds and up to 10 Mbps upload speeds, for a sale price of $59.99 per month for the first year. This plan is great for those who connect five to seven devices at one time and/or for Internet users who play many games online. With this plan, you also get access to 500,000 free Wi-Fi hotspots. The fourth plan is the Cox Internet Ultimate plan offering up to 300 Mbps download speeds and up to 30 Mbps upload speeds for a sale price of $79.99 per month for the first year. This plan is great for those who connect seven to nine devices at one time, along with those who download large files or stream movies and/or TV shows online. With this plan, you get 10 email accounts with up to 10 GB of storage each, as well as access to the 500,000 free Wi-Fi hotspots. CenturyLink is another notable Internet service provider to consider. They have just introduced their new “Price for Life” promotion that allows you to have specific Internet speeds for life without a contract, provided your area is covered by their service. Their first plan is 25 Mbps download speeds for $45 per month, plus taxes. This plan is ideal for supporting multiple devices, as well as for streaming movies. You also get Norton Antivirus included in your plan. If you need greater speed, you can get their 40 Mbps download speed plan for $55 per month, plus taxes. This plan is also eligible for “Price for Life” with no contract. This plan is also ideal for supporting multiple devices, as well as for playing intensive HD games online and streaming many HD movies and TV shows. CenturyLink Internet also provides a 1 Gbps download speed plan for $85 per month, plus taxes. This plan is also a “Price for Life” no contract offer as well. You can upload and download files at 1 Gbps speeds, enabling you to download your HD movies and shows within seconds, as well as post many photos and videos to your social media sites quickly. You can save on the amount of mobile data you use by connecting all of your mobile devices to your in-home Wi-Fi. Other CenturyLink Internet connection service plans available that are not “Price for Life” options include 12 Mbps, 20 Mbps, and 100 Mbps download speeds. Note that all CenturyLink Internet service plans include Norton Antivirus, fast and reliable in-home Wi-Fi service, and 24-hour, 7-day technical support to ensure your Internet connection remains up and running at all times. Frontier is another provider of Internet connection services. They provide three main Internet service plans. Their Simply Broadband Max Internet plan provides 6 Mbps download speed for $19.99 per month for the first year, $34.99 per month for the second year. It is their best value plan that allows for easy surfing, emailing, and shopping, especially for one to two Internet users. Their Simply Broadband Ultra plan costs $29.99 per month for the first year, $44.99 per month for the second year. It allows for up to 12 Mbps download speeds, which makes it perfect for both streaming TV shows and movies, as well as for playing online games and for video conferencing calls. It is especially ideal for two to four Internet users. Their Simply Broadband Ultimate Internet plan allows for up to 24 Mbps download speeds and costs $39.99 per month for the first year, $54.99 per month for the second year. This plan is ideal for homes where multiple devices will be accessing the Internet at the same time, especially for three to five Internet users. This plan is versatile in where it can be used for video streaming and even for conducting business online via a home office. In select areas, Frontier Internet even provides faster speeds via FiOS Internet that allow for speeds of up to 500 Mbps upload and download speeds through a fiber-optic network. They also provide up to 1 Gbps download speeds through Vantage Internet, with no data caps. All Frontier Internet service plans do NOT require a contract, plus provide you with a free Wi-Fi router so that you can utilize your Internet plan throughout your entire home. Frontier is currently offering a promotion for new customers in select areas to receive a free $50 Amazon Gift Card if you switch to their Internet service. Another notable Internet service provider to consider is Altice USA. They have two main Internet service brands: Suddenlink Communications and Optimum Internet. SuddenLink Communications provides Internet connection speeds of between 50 Mbps to 1 Gbps in select markets. Their 1 Gbps service plans include unlimited data. They provide 24/7 customer support and have a world-class technical team to handle any issues that arise to ensure you have high-quality Internet at all times. In addition, they provide professional installation for their Internet service plans and encrypt the network to ensure that you serve safely and your private information remains private. You can connect up to 20 devices wirelessly and ensure you can connect at the fastest speeds possible. SuddenLink Internet can be bundled with phone and TV services to enjoy even greater savings and convenience. SuddenLink is also a preferred partner of both TiVo® and Netflix® because of their Internet service and offerings. Optimum Internet has six different Internet service plans: Optimum 10 provides up to 10 Mbps download speeds, while their Optimum 60 provides up to 60 Mbps download speeds, which makes it a great plan for chatting and checking emails. Their Optimum 100 plan enables download speeds of up to 100 Mbps, enabling many people at once to download, post, search, and shop at the same time. Their Optimum 200 plan enables download speeds of up to 200 Mbps, enabling you to stream video, do video conferencing with ease, and download large files within seconds. Their Optimum 300 plan enables download speeds of up to 300 Mbps, enabling multiple players to play online at the same time, plus stream movies and video chat on multiple devices easily. Their highest-speed plan, the Optimum 400, allows for download speeds of up to 400 Mbps, enabling uninterrupted game play for multiple online players, easy streaming of HD movies, and easy downloads of multiple and/or sizable files. 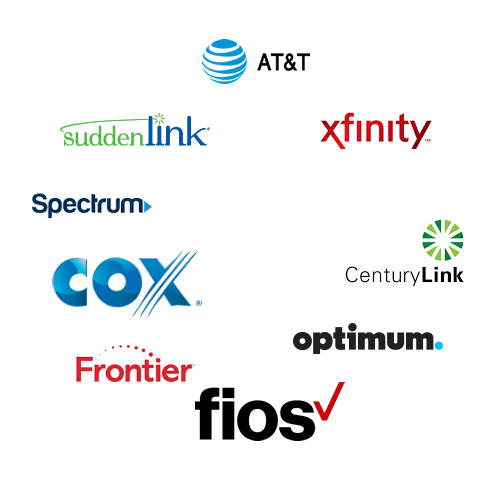 As you can see, there are many Internet service providers you can choose from; we explored just eight in this article, and this is NOT an exhaustive list by any means. The key to picking the best Internet service providers for your needs is to determine what activities you wish or need to do on the Internet, as well as how many users need to access the Internet at the same time. The more intensive the activities – such as gaming, streaming video content, and/or doing conference calls online via video – the higher the Internet connection speed you need in order to avoid lagging and taking additional time to complete the tasks you wish to complete. Most Internet service providers provide entry-level plans that are more affordable and that are appropriate for light to medium-intensive activities for one to two users, gradually increasing into plans that allow more intense activities and number of users. Many Internet service providers also provide additional savings for the first year of usage, but it’s important to note this in order to avoid a shock at the amount you will pay for the second and subsequent years. It is best to find out what the actual price is for the second and subsequent years to properly determine how much you will pay for the Internet service plan you are considering and what is the absolute best value plan you can get to fit your needs. It’s also important to consider the quality of the service you will receive, as well as what Internet service providers are actually in your area. Most providers will provide you with boxes to enter in your street address, city, state, and/or zip code to find out the best deals and if their service is actually in your area. It is best to utilize this to ensure that you can get the service you are looking at, as not all service providers cover all areas of the United States. By utilizing the information above, you can determine what specific Internet speeds you need to fulfill your requirements and activities you wish to do online, as well as find out the best value service provider who can provide that speed to you. You can also determine whether bundling other services such as television and/or phone services can also help you to save on overall cost for your Internet connection as well.